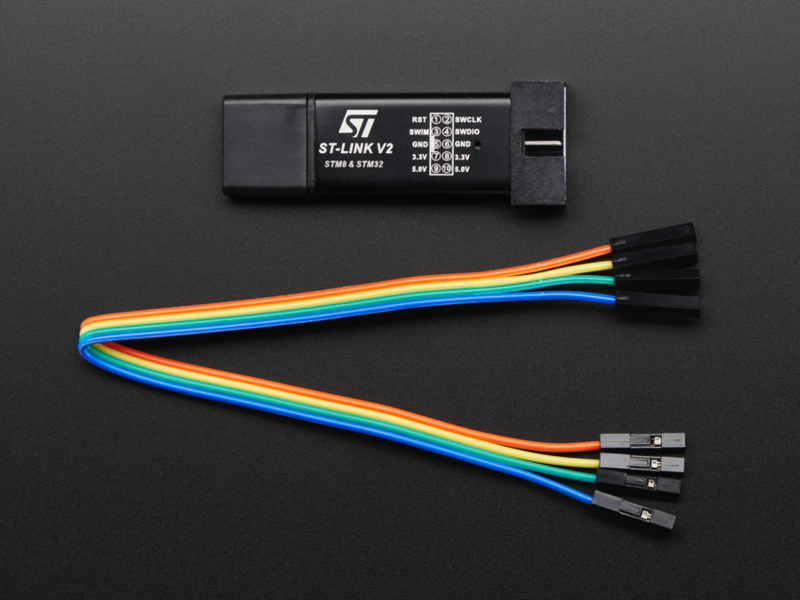 NEW PRODUCT – ST-Link STM8/STM32 v2 Programmer & Emulator « Adafruit Industries – Makers, hackers, artists, designers and engineers! 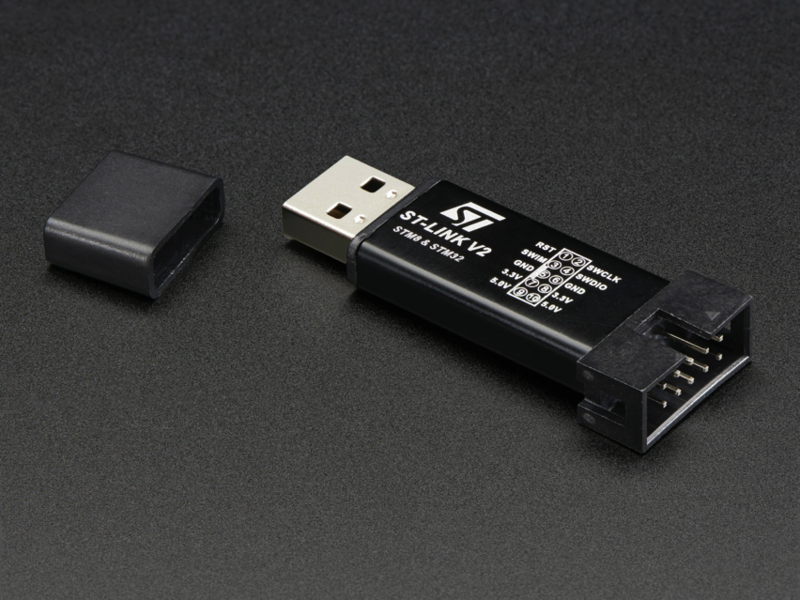 Explore new microcontroller worlds with an ST-Link Programmer & Emulator / Debugging dongle. 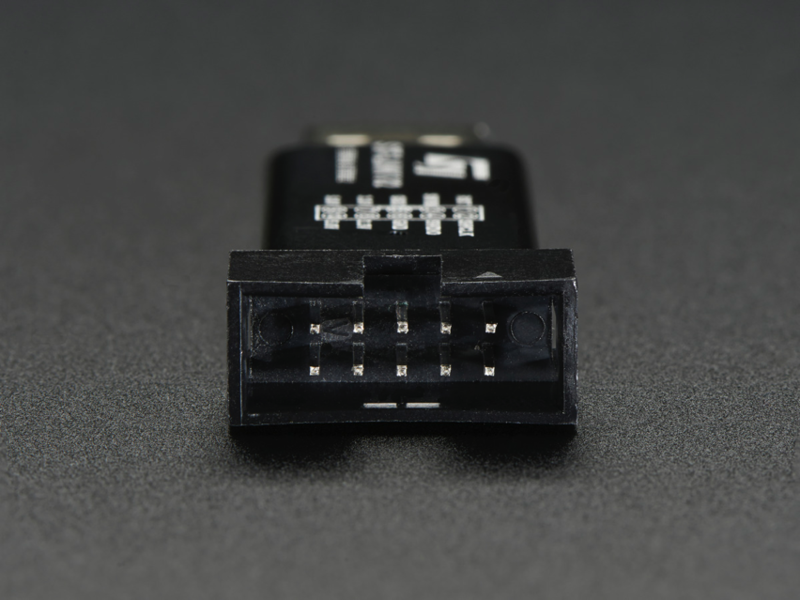 This little USB stick contains a microcontroller with the code for ST’s classic programmer/emulator for STM8 and STM32 bit processors. Since STM’s are so common, this tool will come in handy whenever you encounter them. You can even get 5V and regulated 3.3V power! Comes with one USB stick and a couple pieces of female-female jumpers. You may want to peruse our jumper selection if you need more or different sizes. For tons more details and for drivers and software, check out ST’s page on the ST-Link.